Social workers managing and leading programs use their professional education differently than those who work directly with clients. Clinicians address problems at a micro (individual) level, while managers approach issues using a macro (societal/environmental) lens. Social workers share a common set of professional values; however, their perspectives and skill sets vary with their particular work setting and assignment. 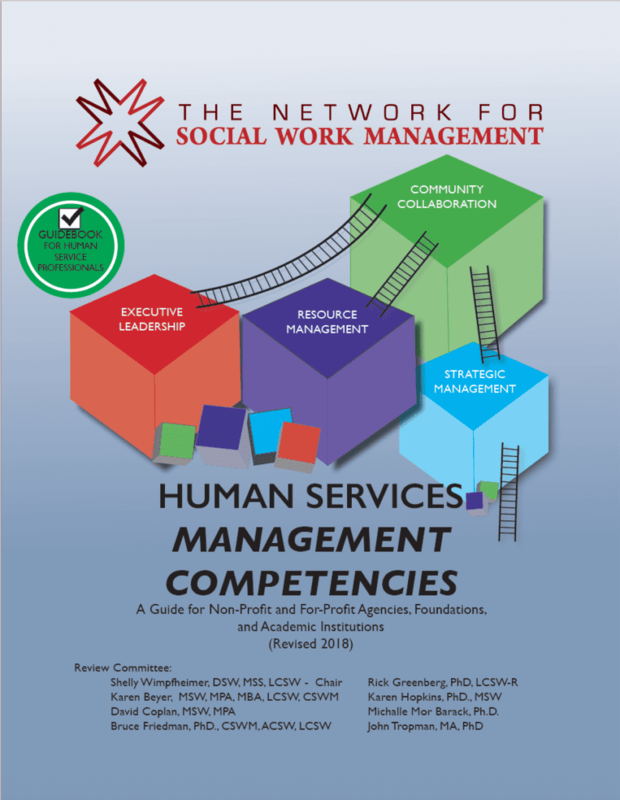 In the Network’s ongoing effort to address the needs of social work managers and to inform the profession and others of the unique skills of social work managers, a set of Human Service Management Competencies was developed and recently (2018) updated by a team of senior social work management leaders comprised of academics and practitioners. These revised competencies include improved language describing performance indicators and new areas of content that have become part of the day to day management of organizations. These are not intended to be minimum competencies, but are descriptions of the level of practice that are expected of experienced and academically trained professionals. 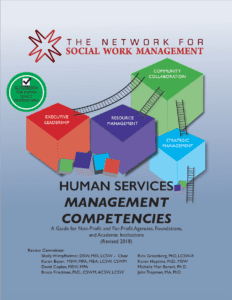 Social workers practicing management at any level are encouraged to review these competencies, making use of the Self-Assessment form available through the Network office, to determine their own skill level and to develop an individual plan for upgrading their management performance. These practice standards for social work managers provide a basic framework of knowledge and skills that define effective and sound social work management.